It is official. 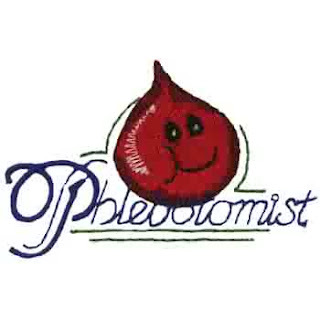 I am now a Phlebotomist. I took my Final Exam last night for the class. I don't know my exact grade that I got on it because there were some essay questions that the Instructor has yet to grade, but I do know that I did well enough to pass the test, and in turn, pass the course. I am so excited!!! Now I just need you all to keep me in your hopes & prayers so that I can find a job...and find it quickly! Lord knows how badly we are struggling.